I think the Halley VI design looks like something you'd see Daleks herding. And who says the British don't have a sense of humor. And radiators, Don't forget the radiators. plus radiation defenses- either British style magnetic shielding or a more conventional storm-room. 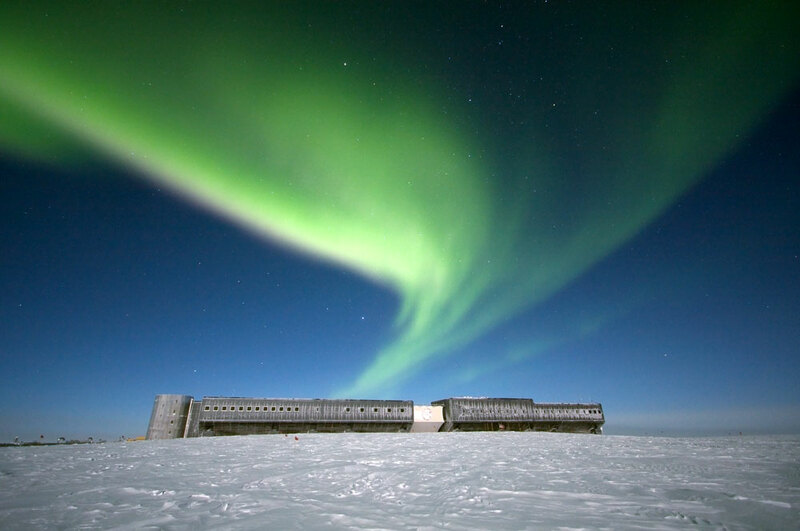 I imagine the antarctic habs are air-locked and airtight for heat retention purposes. I'd think submarine travel would be more akin to deep space travel than Antarctic exploration would. You have to bring along your own air, and keep yourself completely sealed off from the world outside your hull lest disaster befall you. Though similar, space travel and the submarine culture have some radical differences. Chief among them being the limited endurance. Submarines are able to process their own air and water through the medium, manage their waste heat through the medium, propel through the medium and are only limited by the amount of food brought aboard. Spacecraft have neither of those endurance luxuries. Of course there are lifestyle similiarities that can make the transition from under the sea to out in orbit. One of them being the inability to know the time of day without a point of reference. There are a lot of 'lifestyle' similarities between subs and spacecraft, but the biggest difference is that (unless things go really pear shaped) a sub can surface in a couple of minutes and be in an Earth surface environment, albeit a soggy one. 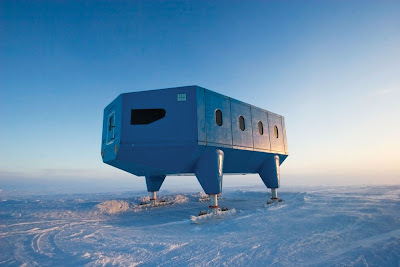 Admittedly Antarctica IS an Earth surface environment, but implacably hostile in winter, and - most of all - cut off from any support or rescue for a period of months. Your post reminds me of a thriller by Alestair MacLean...Ice Station Zebra...a very good book, btw. Ice Station Zebra...a great spy story! I wonder what it would have been like if he had set it on Titan or Callisto?